You’re welcome – thanks for your comment and glad you found it helpful! Hi there, I’ve added row A to the top of every page, but id like it to emit the last (summary) page if possible. Is there a way to do this? Thanks for your question – unfortunately it’s not possible to do this as it’s to do with the printing of the spreadsheet rather than the set up of the spreadsheet itself. Thank you for your question, Amy. I don’t think you can select a particular page for this not to happen on; I’m afraid I think you would have to add an extra tab. I will leave this open to other readers, though – if anyone knows how to do this, please comment below! Hi Liz, Is there a way to have this command apply to the entire workbook? I’m in a book with more than 35 sheets and I would like it to do the same throughout all of them, hopefully without manually doing each one. Thanks! I’ve just had a search online and I can’t find anything that suggests you can do this across multiple sheets in a workbook – sorry! If you find out that you can, please pop back to let me know and I’ll add it to the post. You’re welcome – I’m always so glad when people feel able to interact with my posts and ask questions! I’ll keep an eye out for a solution, too! Page layout tab – sheet options. Under Headings, tick the Print box. 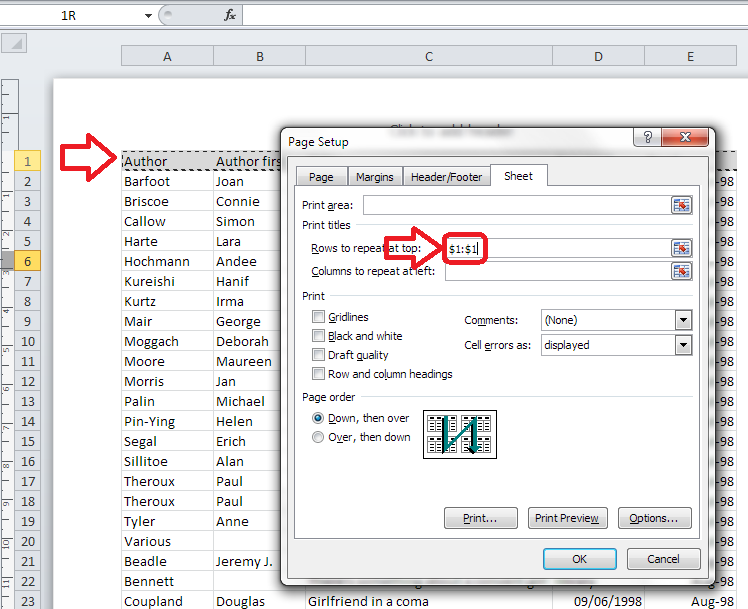 Or in Page Setup, you can tick where it says Print – Row and Column headings. Or you can do this when in the process of setting a document up to print. I will publish a new post soon with instructions and screenshots – watch this space! Thank you for all your help. I was about to throw my computer out the window and then I saw your instructions. You have been a great help to me. You’re welcome, Lesley – I’m glad I could help and appreciate you taking the time to drop by and say thank you! Thank you so much 🙂 keep up the good work. 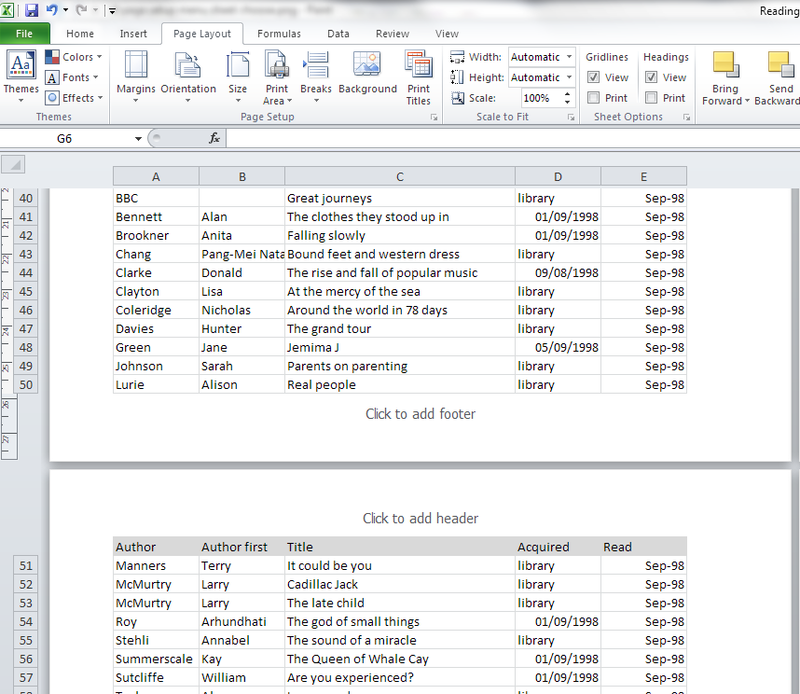 I have 3 pages (when printed) excel file and I used a repeat column header to have the same header on every page. On my third page I don’t want this header appear. How can I do it? Ha! Thank you, glad I could help! Very nice clear instructions!!! Thank you so much! Hi there. Was wondering if you could help me with separating a heading over 2 rows of header row in a table. At the moment I am spacing between words to have them wrap but this is messy. The only other option is to narrow the column to make it wrap but this doesn’t suit. Then when I reference the field in formula’s I have to count the spaces between words etc…. Thanks for your question. I’m not entirely sure what you’re trying to do, I’m afraid. Can you explain what you’re trying to get to? Hi there. 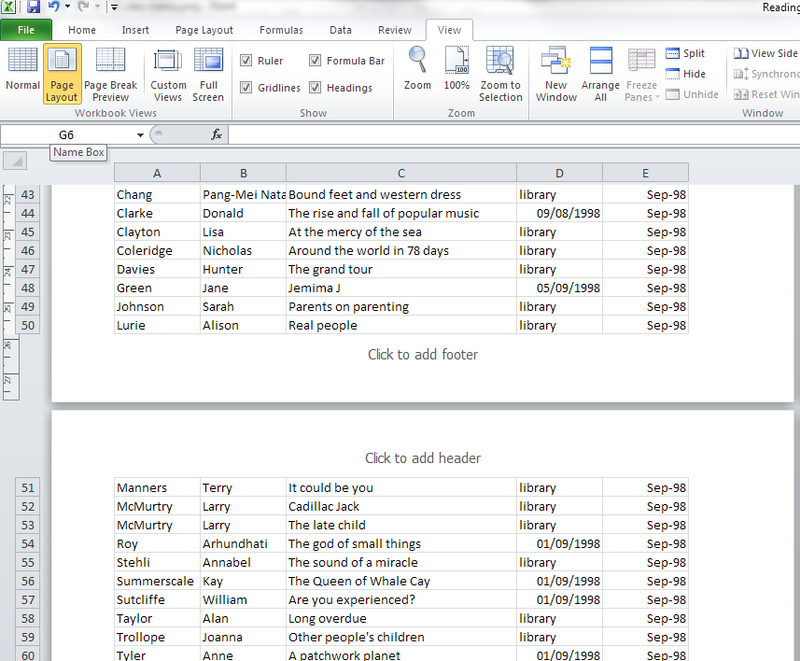 What if I have several multiple page tables in one worksheet and each table has a different heading? I guess I could put each table in its own worksheet, but that is a lot of work. thanks for any advice you can provide. 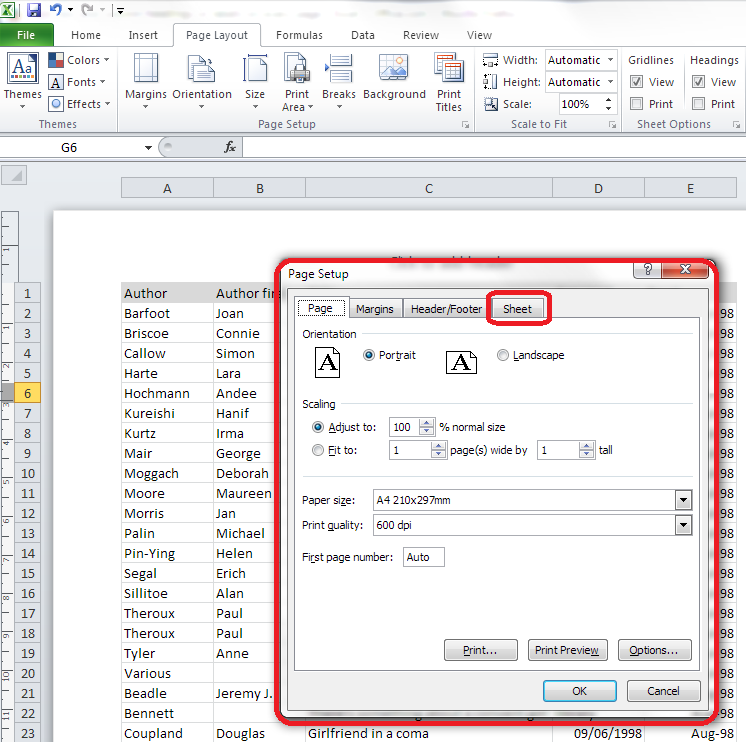 I’m afraid you will have to put each in its own sheet, as this is a function of printing rather than excel itself, so it doesn’t intrinsically know which are headers and which to choose to print on each page (sorry!). i love you! thank you so much!! Hehe – you’re welcome! Glad to inspire love! Thank you! Been wondering for awhile. Finally used google as a resource. Easy steps to follow. Cheers! It’s helpful so much. Thanks a lot. 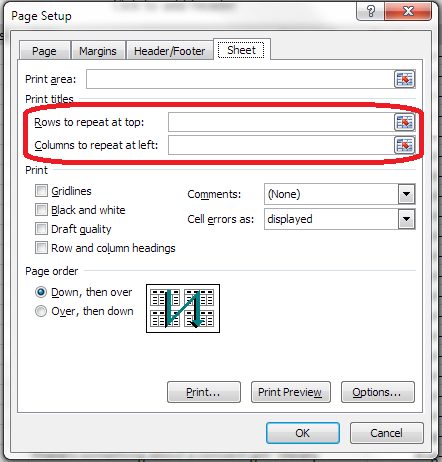 I cannot print the instructions that you have on this page=how I print out table headings etc. how do I do it. If you want to print out the page from the Web, you should be able to fine a symbol that looks like three horizontal lines stacked vertically in the top right of your browser screen. Click there and you’ll have the option to Print. This works in Firefox and Chrome, which I have open at the moment myself. 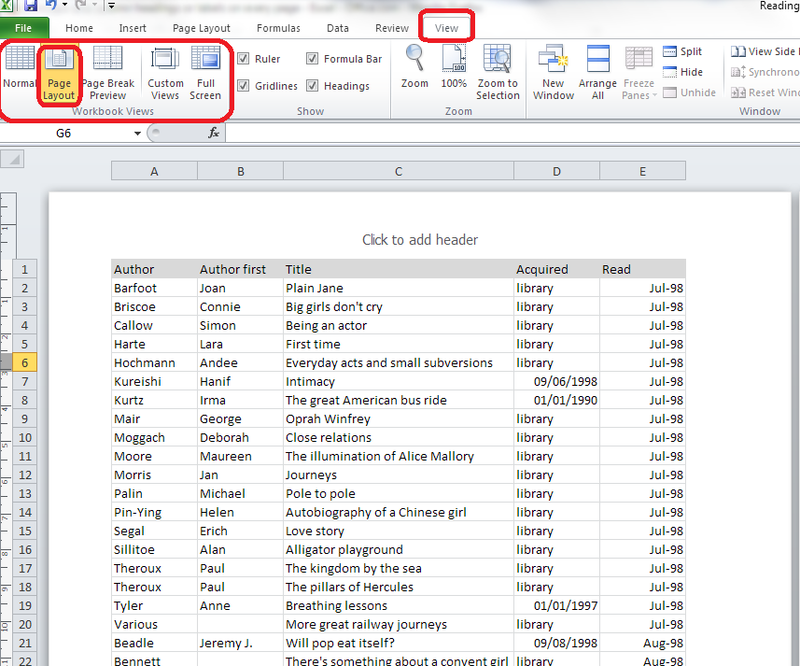 Or you can highlight all the text, right-click and copy then paste into Word and print from there. I hope that helps and is what you were asking. I was great ! it’s really helped me. I’m not sure why you would want to do this, but unfortunately, you can’t exclude certain pages. 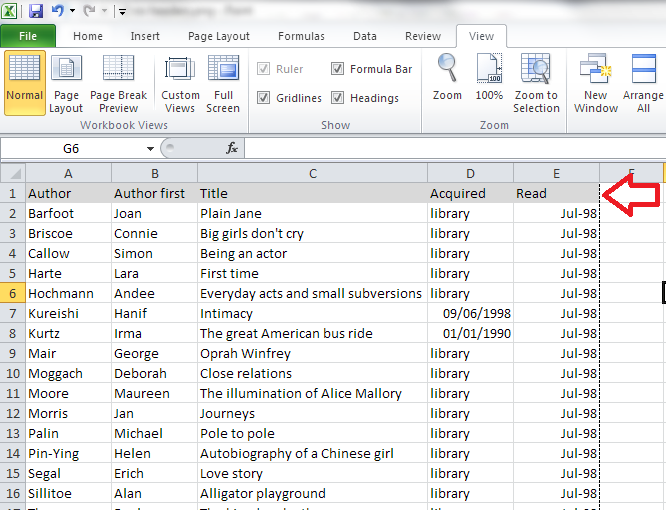 You could add those pages to a new tab in your spreadsheet and print them separately, as a workaround. I hope that helps! Hi, Can you suggest, how can I learn making tables and charts in Excel (KPI)? I’d take a look at YouTube for instructional videos as a good first step. I hope that helps.